We promote events geared towards developing the industry. B&ST is the innovative format that allows the meeting between brokers and shipyards, to promote the network among professionals in the sector and enhance the market of new build and refit. Promoting the professionalism of brokerage means enhancing the new build market. At the same time, networking creates an understanding on how brokers and shipyards can collaborate to reach out to the final customers. An exclusive business and networking event on the Tuscan coast revolving around superyacht refitting and aftersales (n.b. Sul sito dice “supeyacht” anziché “superyacht”)..
YARE provides key players in the refitting and aftersales sector with its signature matchmaking service, facilitating face-to-face meetings between firms and superyacht captains/chief engineers. Two mainstays of the event are the Superyacht Captains’ Forum (an international forum on the state of the global yachting industry with various workshops) and seminars on yachting and the maritime economy. YARE also provides guest captains and firms with unique opportunities to visit various Tuscan shipyards and participate in numerous social/networking events. For more information, visit YARE’s site at www.yarenetworking.com. Next edition will be held on 18-21 April 2018. One of the most prestigious events in the superyacht community, co-hosted with Boat International Media. Created in 2005 by Boat International Media, the World Superyacht Awards are some of the most sought-after prizes in the yachting industry. They recognize the ingenuity, innovativeness, and technical prowess required to design and build the most beautiful and luxurious yachts on the planet. 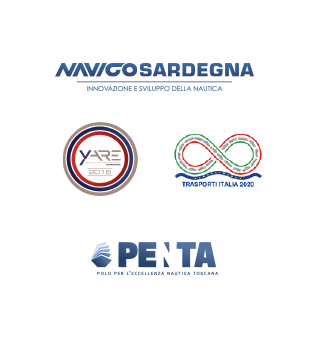 After a number of events held elsewhere, Navigo was able to broker a deal with Boat International and the sponsor shipbuilders to bring the Awards to Italy, home of many the most important names in yachting. Navigo will be coordinating relations between Boat International and the event’s sponsor shipbuilders (Baglietto, Benetti Yachts, Cantieri delle Marche, CRN, Customline, Montecarlo Yachts, Perini Navi, San Lorenzo and VSY) through 2018. Debuted at Expo 2015, this event is a foray into the things that have drawn mankind to the sea since the dawn of time through a series of meetings, talk shows, on-board cooking shows with yacht chefs, and tastings of local foods and wines. Anywhere from 2 to 5 days in length, this allows local companies, authorities, and institutions to share the history and magic of Tuscany through yachting. Yachting and Excellence Week provides a networking event where design, wellness, art, territory, technology, and logistics come together to define a truly multifaceted luxury experience on both land and sea. Navigo provides modular event packages for companies trying to reach out to a specific audience. 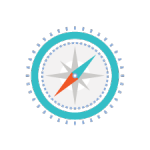 These packages include custom social events, B2B services, business meetings, and leisure meetings tailored to a company’s unique demands and necessities.